Called “the American Luther,” the Rev. 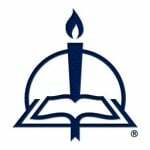 Dr. C. F. W. Walther is celebrated as one of the founders of The Lutheran Church—Missouri Synod and of the log cabin college (1839) that became one of the ten largest seminaries in North America: Concordia Seminary, St. Louis. The educational emphasis and precedents Walther set made his theological heirs highly influential in American Christianity a century later and his legacy persists through his most widely read book, Law and Gospel. As we commemorate the 203rd anniversary of Walther’s birth on October 25, we offer this excerpt from C.F.W. Walther: Churchman and Theologian. Which Experiences Does Walther Mean When He Speaks of Affliction? There are mainly three different fields in which affliction and temptation can be experienced. The first one is personal need: especially poverty, illness or the (early) death of family members. The question people ask in these situations is: Why does God let me and my dear ones suffer those hardships? A third field of affliction is the field of spiritual hardships and temptations: People ask God in their prayers for help—but he remains silent and does not answer. Someone becomes desperate because he does not feel the joy and relief of being a Christian. Believers are tempted to improve their lives on their own by doing something against the Word of God and they are afflicted because of the diversity of teaching in the different religious groups. And finally members of a Christian congregation may be afflicted by imperfection of their faith and Christian life and the fear that one is not allowed to come to Jesus Christ before having become a better person. Dealing with this Walther probably has always thought about his own afflictions when he was a student, when exactly that was his problem. And finally the worst affliction and temptation for a Christian is the fear to lose Jesus Christ or, even worse, to find in the Holy Scripture only proofs for the fact that you are hopelessly lost and there is no way to get back to God. How Can Affliction Be Overcome? It is a basic insight of Walther’s sermons that no one can overcome affliction without the help of God. That’s why the fight in and against affliction cannot be fought with human means but only with the instruments God is providing. The first one is the Word of God. For Walther the words “It is written” are the most effective weapon against all afflictions and tribulations. God’s Word is comparable with a light that guides you through the night and leads you to the other side. Even more than that, Walther is frequently talking about “going into the Scriptures” and using this phrase as if he wants to say, that the Word of God is like a fortress with a surrounding wall that protects a Christian against all the powers of his enemy. And even in times when someone thinks that God’s Word is standing against him, he needs to use the Gospel of Jesus Christ against all other understandings of the Word of God to find finally comfort and peace. This word is a solid fundament of faith—even if the feelings do not make someone certain concerning his state of grace. After clinging to the Word of God, C. F. W. Walther mentions persistent prayer as another way to overcome affliction and tribulation. Even if it seems that God does not hear his prayers, a Christian should be confident that God actually does hear, as he has promised in his Word. The one who keeps on praying and believing that God is listening to his prayers will not get lost in those times of affliction. And finally, Christian fellowship also serves as a means to overcome affliction and temptation. Using the example of Thomas in the Gospel of St. John, C. F. W. Walther shows how a man who does not stay with the other disciples falls into temptation and doubts. And another thing you can discover in this story is how the testimony among the disciples strengthens their faith. C. F. W. Walther definitely knows that affliction and tribulation are not always easily resolved. Therefore, he presents to the listeners of his sermons bright prospects. The first prospect is that faith gets trained by Jesus Christ himself in times of affliction. And, like a well trained sportsman who can be confident to win the game, a man who suffered times of tribulation will beat all powers standing against him. A second prospect Walther names is that Christians not only have the hope that they will be rescued from affliction, but also that affliction and tribulation become transformed into effusive, eternal joy. As a child is born while his mother is suffering pain, eternal joy is born while Christians are experiencing times of tribulation. You cannot get the one without the other one. Finally, Walther presents to his congregation the fact that times of affliction purify the faith. In times of tribulation it becomes more and more visible that the Christian faith has a solid ground. No other powers have the chance to overcome the believer. It becomes more and more obvious that his faith is able to overcome all hazards of life. . . . Even though the terms affliction and tribulation may not be used in all of his publications as frequently as you may expect, there is no doubt that these themes are hidden guidelines for everything C. F. W. Walther taught, preached and wrote. For Walther, affliction was an important part of his theological thought—how is it for Lutheran congregations in the twenty-first century? My impression is that talking about affliction is not that common any more—for at least two different reasons. The first one is: parishioners are often influenced by the theology of other denominations. They absorb a variation of doctrine that your well-being shows something about your state of grace. Or at least: if you are doing not well at all then you need to pray harder or more intensively and then God will help you. The experience of hardships in life is understood as a problem showing a lack of faith and prayer. Accordingly, people who are burdened by many problems are thus even more distressed by the fact that they think that those experiences show that God is not on their side. To learn from Walther how to talk about affliction would mean to comfort those people by the proclamation of the Gospel and the right teaching of the doctrine of justification. Times of temptation and tribulation are not a sign that someone is on the wrong path, but—on the contrary—especially those who stand firm in faith get afflicted. People may learn to understand afflictions as the marks of the Lord Jesus, by which they are adorned, as Walther put it. It will still be a strenuous endeavor to get through the hard times of life. But in understanding rightly what affliction means, people can endure those rough ways with comfort. A second reason why people may not talk about affliction so much anymore is that they are used to thinking that problems can be solved pretty easily. If you are ill, there are many good means to make you healthy again. The world is full of opportunities to create our own life as one would like to live it. So it becomes harder and harder to deal with those facts in life which cannot, or at least not easily, be changed. Many people are not used any more to handling those incidents which they cannot change themselves. But starting again to talk about affliction would lend a hand to brothers and sisters in our congregations so they can find their way to deal with these occurrences. And maybe people would be able not only to see the bad side of hardships but also to see the spiritual dimension in it, how they become much closer to God in those times of tribulation. On the other hand, the interdisciplinary discussion in the last decades has shown quite clearly that there are many dimensions which need to be considered in the process of pastoral counseling. Someone who is in a deep crisis will definitely need spiritual support. But it is also necessary to determine whether medical help is advised as well. Even here Walther is a good example when he gave Wyneken not only spiritual advice but also encouraged him to take a time off to get rest for his body. Yes, body and soul, theology and medicine may not be torn apart in the process of pastoral care, even though they have to be carefully distinguished. C. F. W. Walther, “Predigt am Sonntag Invocavit (1843),” p. 8. C. F. W. Walther, “Letter to Pastor J. M. Buehler,” in Selected Writings (as note 65), 71–72. From Christoph Barnbrock’s essay “C.F.W. Walther and Affliction” in C. F. W. Walther: Churchman and Theologian, pages 11–14, 19–21 © 2011 Christoph Barnbrock, published by Concordia Publishing House. All rights reserved. 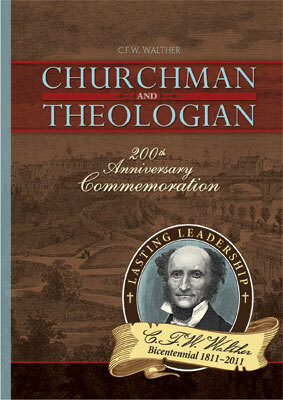 To order C. F. W. Walther: Churchman and Theologian, please contact CPH at 800-325-3040 or visit www.cph.org.